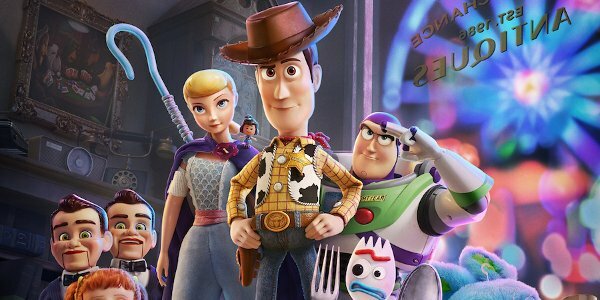 Yesterday, Toy Story 4 presented devotees of the series with another glimpse of the magic that the third sequel in the series is looking to offer. And like clockwork, there’s already a huge easter egg that’s been plucked out of that recent round of footage, as you’ll see below. If you’ve been wondering what Boo from Monsters Inc. has been up to, it looks like you’re about to find out. Looking in the top right corner of this screengrab from the latest trailer for Toy Story 4, Boo seems to be present while Bonnie is hard at work crafting Forky. It’s the sort of moment you can miss if you blink at the wrong time, but even in the slightly out of focus frame, it looks just like the little girl who won the world over in Pixar’s 2001 effort. Strangely enough, this theory is bolstered even more by two other occurrences in the Toy Story universe. Apparently, this isn’t the first time Boo has popped up in Toy Story history, as Toy Story 3 also was believed to have Boo attending Sunnyside Daycare alongside little Bonnie. This easter egg was shown during the first time the toys saw gentle Butterfly Room in effect. Seen playing with a blue cat toy and a girl dressed as a sunflower, the connection between Toy Story and Boo started to come into focus. Or did it? We all know that Pixar loves to use easter eggs to tie their films together, be they past or present. And the Toy Story saga isn’t the first time that Boo has found a connection to a character from the series. In Monster’s Inc., Boo had her own Jessie doll she tried to show to Sully before he left for good. So if anything, the studio is being consistent with the connection between these two particular worlds, with Boo returning yet again for Toy Story 4. Of course, there’s a chance that this theory from Twitter could turn out to to be, indeed, just something that folks thought they saw as a fact. But with all the evidence in front of us, it looks like Boo is indeed going to be in Toy Story 4. Should the film confirm that fact, it’ll be yet another moment of Disney/Pixar history for the ages. Toy Story 4 will come out and play in theaters on June 21st. But you don’t have to wait that long for your next cinematic rodeo, with the 2019 release schedule already packed with plenty of adventure between now and then. And if you’re really heated about the debate over whether or not that’s really Boo in the trailer for Woody, Buzz, and the gang’s latest adventure, we have a poll that we’d like you to take below to help settle the matter.